The following letter was written by Cath Kestler, a resident of NY-23, and is shared here with permission. Intellectual Property Chapter: Leaked draft texts of the agreement show that the IP chapter would have extensive negative ramifications for users’ freedom of speech, right to privacy and due process and hinder peoples’ abilities to innovate. The twelve nations currently negotiating the TPP are the US, Canada, Mexico, Japan, Chile, Peru, Singapore, New Zealand, Australia, Malaysia, Vietnam, and Brunei Darussalam. The TPP contains a chapter on intellectual property covering copyright, trademarks, and patents. Since the draft text of the TPP agreement hasn’t been officially released to the public, we know from leaked documents that the US negotiators are pushing for the adoption of copyright measures for more restrictive than currently required by international treaties, including the controversial Anti- Counterfeiting Trade Agreement (ACTA). United States Senator Elizabeth Warren (D-MA) called for increased transparency in the trade negotiations for the TPP. Sen. Warren expressed concerns about the transparency during negotiations. Senator Sanders stated that while Wall Street, major media companies, and the pharmaceutical industry has full knowledge of what is pertained in the TPP, the American people have been locked out of that process. All Americans, regardless of your political affiliation should oppose the “fast track” process of the TPP. Remember the North American Free Trade Agreement (NAFTA)? The TPP follows in NAFTA’s footsteps, a race to the bottom. NAFTA forced American workers to compete against low-wage labor and the desperate around the world. NAFTA has caused massive job losses in the US and the shutting down of tens of thousands of factories, these corporately backed trade agreements have contributed to the collapse of the middle class as we know it, and increased the wealth and income inequality. “The TPP is NAFTA on steroids,” said Robert Reich, former Secretary of Labor, under President Bill Clinton from 1993 to 1997. Reich also served on the administration under both Presidents Gerald Ford and Jimmy Carter. Boosting profits of large corporations and Wall Street by outsourcing jobs; dismantling labor; health, environmental, financial laws, and food safety; slashing worker’s rights; and allowing big corporations to challenge our laws in international tribunals, instead of the US judicial system. TPP will allow corporations to outsource even more jobs overseas. The US will lose over 130,000 jobs to Vietnam and Japan alone, to start. Manufacturing jobs will be lost. Almost 3.5 million jobs were lost as a result of NAFTA and each trade agreement made with both China and Korea. The TPP will give special benefits to firms that outsource jobs. Service jobs will be lost. Three million have already been outsourced, including call centers; computer programming; engineering; accounting; and medical diagnostic testing. US sovereignty will be undermined by giving corporations the right to challenge our laws in international tribunals. Corporations could get taxpayer compensation to hear these challenges in tribunals. They can also challenge our laws that could impact possible “expected future profits”. Wages, benefits and collective bargaining will be threatened. This would enable these corporations to pay lower wages and take away benefits that workers are already been promised. Can you say union busting? American laws could come to an end. Under the TPP, foreign countries must be given equal access to federal contracts; this would result in jobs being lost here at home. Prescription drug prices increase, access to life saving drugs will plummet, and profits of drug companies will rise drastically. Wall Street would benefit at the expense of everyone else. The TPP would expand the rights and powers of the same Wall Street firms that nearly destroyed the world economy just five years ago and would create further financial instability in the future. The TPP would reward authoritarianism, like Vietnam, who systematically violates human rights. I urge you to take it upon yourself and research this further to answer any questions you may have. The TPP and the “fast track” is destructive, if this passes it surely means that our freedoms have been sold to the highest bidder. Rep. Tom Reed is a supporter of the TPP, saying it will bring jobs to America. Call his office at 1-202-225-3161, voice your concerns. This entry was posted in Congress, Economics, Environmental, Political, Reed's Views and tagged Bernie Sanders, Elizabeth Warren, intellectual property, Secrecy, TPP, Trans-Pacific Partnership. Bookmark the permalink. One person reports: “I went by Reed’s office today to find out his position on fast-track and was told he’s not made up his mind. I was told that tea party people have been calling him in opposition to it.” Expect Tom to waffle. 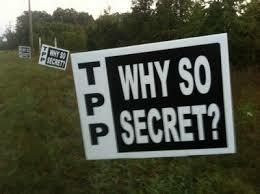 I went to a Reed Town Hall Meeting last winter in Pulteney where he seemed to be leaning towards TPP. He also explained Fast Tracking the negotiations and really thought that was the proper thing to do. I agree with the Tea Party on this matter. Thanks to Cath Kestler for this information. The Tea Party may not be against the TPP trade agreement, but they do want open prolonged discussion in Congress, rather than a limited 2 month period for legislators to view it. I want neither Fast Track nor the TPP to pass. Trade agreements in the past have caused great numbers of jobs to be shipped overseas, and while some few country’s leader’s in these other countries have gotten wealthier, those that do the labor have not.